A second Webinar will be held from 11am to noon EST on May 21, 2012. Questions about the solicitation can be submitted in advance or during the webinar to bigdata@nsf.gov. NIH issued a news release that summarizes its planned actions in response to an Advisory Council to the Director working group report on data and informatics. 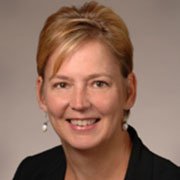 Until May 2012, Karin directed the Division of Biomedical Technology, Bioinformatics, and Computational Biology. She also chaired the trans-NIH Biomedical Informatics Science and Technology Initiative and represented NIH in interagency coordination efforts in Networking and Information Technology Research and Development .